A new research study has gotten down to the basics when it comes to Christmas movies. This isn't a personal list of my favorite holiday flicks. The proof in that is The Great Rupert and Little Shop of Horrors are both missing. Flowercard has a detailed breakdown of all wintery tales, and if their research proves anything, it's that Die Hard really is a Christmas movie. Not only that, it's the top rated Christmas movie of all time. Flowercard has done extensive research, culling the critic scores, audience scores, box office and profitability of Christmas movies throughout several different decades. And the results may surprise you. They not only offer a look at the top five biggest Christmas movies of all time, they also break down the worst Santa has to offer. 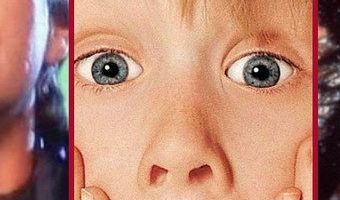 These movies definitely belong on the naughty list. The research analysed 75 of the most popular Christmas films of all time, with the data arriving from Flowercard. There has been a long standing debate on whether or not Die … [Read more...] about What Are the Best and Worst Rated Christmas Movies of All Time? Can Ant-Man 2 Topple The Rock’s Skyscraper at the Box Office? It's going to be a tight race at the box office this weekend. Ant-Man and the Wasp finally managed to take down Jurassic World: Fallen Kingdom last weekend, but with both Skyscraper and Hotel Transylvania 3: Summer Vacation opening up this week, there could be a new champion in town. The real question is, can Dwayne "The Rock" Johnson muster enough of his box office charm to overcome Marvel and the ending to the family-friendly Hotel Transylvania trilogy? Ant-Man and the Wasp debuted with $75.8 million at the box office over the weekend. Positive buzz could help keep it in the top spot, but it's going to be very close. Hotel Transylvania 3: Summer Vacation is currently tracking just shy of $40 million on the low side and optimistically at $45 million. With Incredibles 2 still chugging away, looking to bring in another $13 to $14 million this weekend, that could take a bite out of Adam Sandler's animated vampire comedy. If Ant-Man and the Wasp can avoid a huge drop, it should be able to … [Read more...] about Can Ant-Man 2 Topple The Rock’s Skyscraper at the Box Office?